Welcome to and thank you for visiting my website. I retired from teaching SCUBA and UW photography in early 2016. 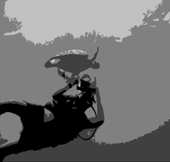 I conduct group photo and dive trips and otherwise engage with my clients. I decided to keep my website on-line. This is because it enables past clients a means of contact. I am also maintaining my website out of sentiment. I have removed elements that are no longer relevant. I left Key Largo in mid 2011 and am currently on the high plains. I still 'keep a fin wet' and engage in UW photography and writing. 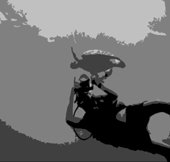 My website pages that are still active will give you a glimpse into the world of SCUBA and UW photography. Browsing my 'Favorites Links' page will lead you to useful diving and UW photo-related services. 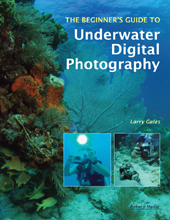 Contact me if you feel I may be of any service or help to you in either your diving or UW photography. You will see, if you read further, that I have a lot of experience--and am happy to share it. E-mail works best. 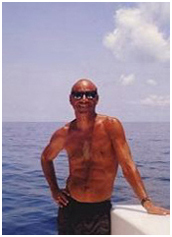 ABOUT ME: I am a PADI member and Master Instructor (emeritus) with over twenty years experience, and an SSI Platinum Pro 5000 Diver with over 5000 dives. 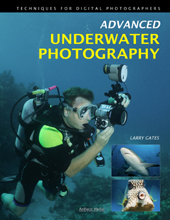 I taught underwater photography, have written two books about the subject, co-authored a third and recently finished my fourth publication. I was born in California a long, long time ago and was raised in South Dakota where I learned to dive (Brrr). I was a divemaster and scuba instructor there (the 7th and last in the state’s history) and later a full time scuba instructor and underwater photographer in the Hawaiian Islands (Maui) in the early 1990s. 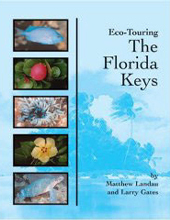 I left Maui and moved to Key Largo in October of 1994. I also have working, diving and photo experiences in the Bahamas, the Turks and Caicos Islands, the Cayman Islands, Cozumel, Bonaire, Belize and Roatan. 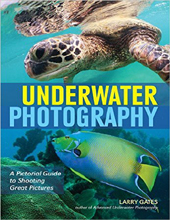 Featured below are pictorial links to my published works including my latest book: "Underwater Photography -A Pictorial Guide to Shooting Great Pictures". ABOUT OTHERS: A special thanks goes to Bill Dunbar, my webmaster, who, along with Loriele, longtime tech-savvy friend, persevered with me for weeks to construct this site. Another special thanks goes to my parents, Norma and Aubrey (RIP), who didn't swim and worried about this diving thing! And another to my wife of 17 years, who gave me the opportunity to go ahead and become a professional scuba diver and underwater photographer. A sentimental thank you to my scuba diving mentors: Mike, Tom, Al, Roger, Kristene, Laura, Celeste, Joe and Mattie - You are only as good as your mentors. I pay tribute with fond memories to friends Hugh MacArthur, Cory Lee, Hans DeJager and Joe A Thomas. RIP. And a loving thank you to 'My Guyz'. This site was launched in the late 1990s and launched me on a grand journey with all of you! ABOUT YOU: Thank you too for visiting my site and contemplating the fun and adventure of scuba diving and the fun challenge of UW photography. The community is small and full of people who have spirit, an outlook for adventure and are fun loving. If you managed to get this far then reward yourself by scrolling a bit further down to a Vivid-Pix graphic link below. 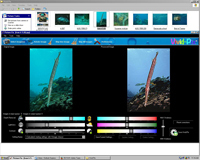 There you can download a free 30 day trial version of a very effective and easy to use photo editing program especially for your underwater photographs! Try it, you'll like it. Good diving to you one and all. In tribute to Our Country' s Armed Forces and their Families' Sacrifices. Cool people like you have been here!